Dusty garnet color. Roasted aromas and flavors of dried cherry and apple, roasted beets, fancy scented candle, and sesame-cashew nougat with a satiny, vibrant, dry-yet-fruity medium body and a sleek, amusing, medium-long finish imparting notes of cherry-beet juice, sundried tomato and apricot, violet candy, and huckleberry jam on toast with soft tannins and light oak flavor. A delicious pinot noir with a great balance of fruity, savory and spicy flavors. 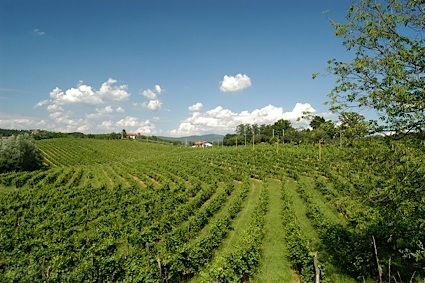 Bottom Line: A delicious pinot noir with a great balance of fruity, savory and spicy flavors. 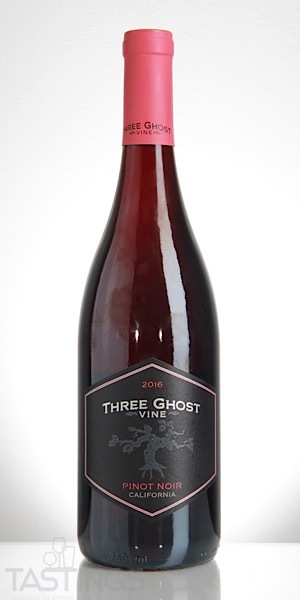 Three Ghost Vine 2016 Pinot Noir, California rating was calculated by tastings.com to be 91 points out of 100 on 9/21/2018. Please note that MSRP may have changed since the date of our review.